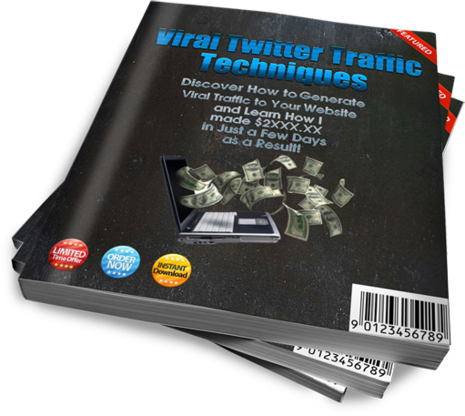 Discover How to Generate a Large Number of Traffic using a Viral Method of Marketing and the utilization of your Twitter Account. The Key of Success in any online business is Traffic.Without them you won't success in selling your products. There are lot of social network websites that can be used to generate traffic, but Twitter is the best. Why?